Yep, pretty squirrelly all right. Last night’s six-miler with PR Fitness was my first run since completing the 50-miler at Run Woodstock, and I’d been looking forward to it all week. 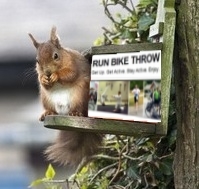 I understand the need to rest and recover after an ultramarathon, but I was starting to get squirrelly. My legs started out a bit sluggish, but after a mile or so I was back in the groove. It helped that it was a beautiful warm evening and that the rest of the group was upbeat too. I’m convinced that one reason I became a regular runner is the attitude of the people I’ve run with. Whether it’s a group run, a small 5K, or a major marathon, everyone has been so happy to be there, it couldn’t help but rub off on me. Emotions are contagious, and so, I believe is energy. How can you not get fired up to run when everyone else is raring to go? The Wednesday night group. They’re practically bursting with enthusiasm. Trust me. The attitude toward other runners is equally positive. 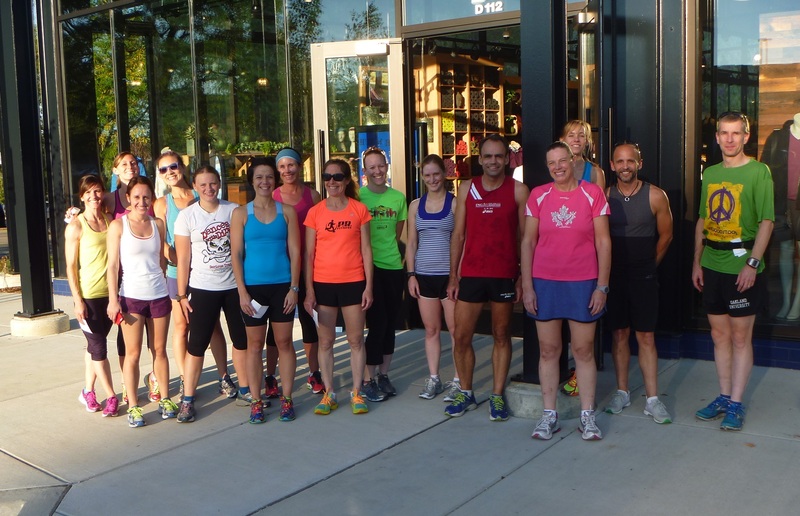 Runners are incredibly supportive of each other, and are quick with encouragement, especially with newer runners. Training for your first 5K and feeling self-conscious telling that to marathoners? Don’t be. They were all in that place once. My first 5K was just five years ago. Amazing what you can do if you just keep showing up and running. The ultra at Woodstock was just the most recent example. After the crowd on the trail cleared and my pace picked up, I began to pass other runners. Many of them were 100-milers who’d been out there 18 hours or more, and could easily be forgiven for being a bit cranky at having to move over. But what did I hear in return? “Good job,” “Go get ’em!” “Finish strong!” and the like. Not once did someone grumble or make a crack about bright-eyed, fresh-legged runners of lesser races. Well, okay, I overheard one crack. 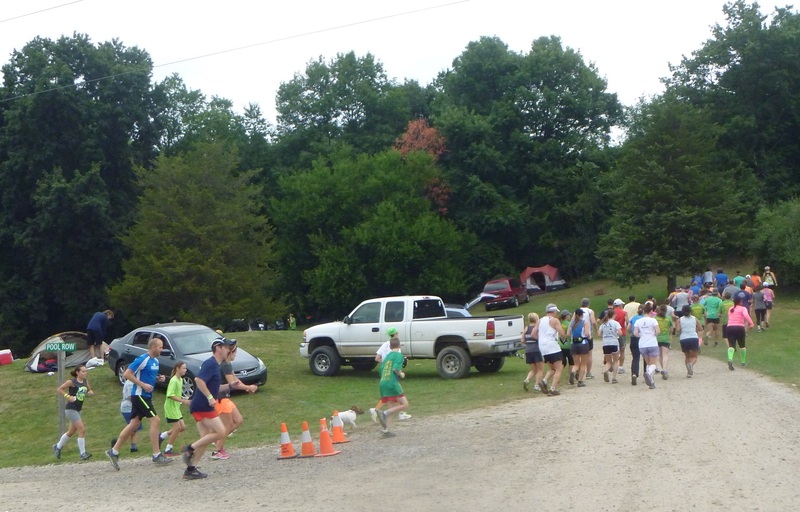 But it wasn’t directed at me – it was a 100-mile veteran complaining how the 50K runners messed up the trail and aid stations while the longer runners kept them clean. 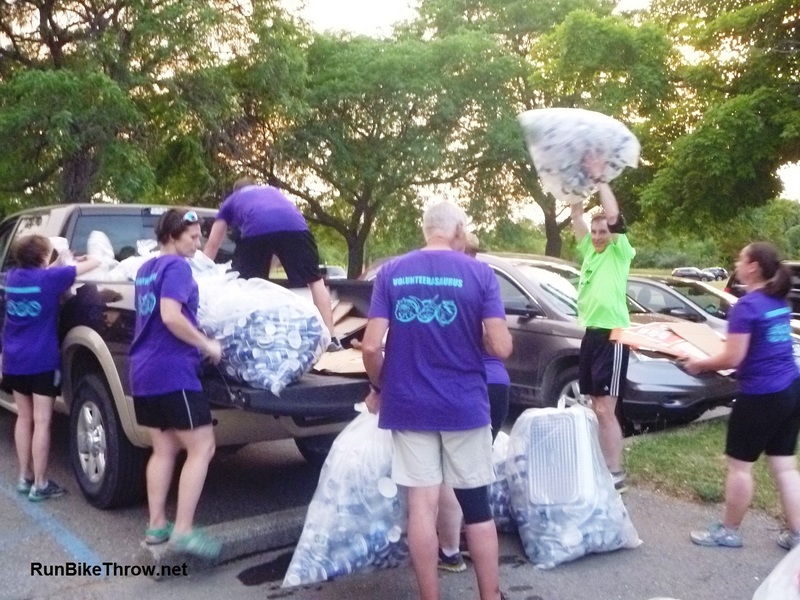 She had a point – road marathons have large crews at the aid stations, and clearing a road of cups and such is relatively easy. Not so on the trail. So yeah, you short runners, don’t litter. But keep on running! We’re pulling for you. This entry was posted in Run Woodstock - 2012 & Beyond, Running & Cycling and tagged 50, 50 miles, encouragement, energy, enthusiasm, fitness, positive, PR Fitness, Run Woodstock, Running, support, trail running. Bookmark the permalink. So agree. I ran solo most of the time for years and have recently begun enjoying and benefiting from group runs. Terrific! Keep on running – you’re an inspiration to those of us not that far behind you.